Education Barbara has written a curriculum The Caring Congregation Handbook which is a program for educating a congregation about how to be more intentionally supportive of people with mental disorders and their families. It is her intention that this be pilot tested in our congregation, field tested at several other congregations, and then become a UUA- wide curriculum. Healing Barbara will help in Pastoral Care, especially for people with mental disorders and their families. For example, she currently works as an Assistant Director and Peer Counselor at the Life Reaching Across to Life mental health center in Fremont. Social Justice Barbara will participate in community mental health activities by her presence and by doing advocacy work. Spirituality and the Arts Barbara will give worship services at our church and other churches. In addition, she will perform Rites of Passage: Weddings, Memorial Services, and Child Dedications. Job-related oversight for Barbara’s ministry will be accomplished by a ministry committee made up of a number of people knowledgeable in mental health and religion, including some congregation members. They would be chosen as people from whom input and oversight would be particularly useful to her. Such a committee would include annual structured evaluations. Should Barbara Meyers’ plans in these activities change, she would continue to serve as Endorsed Community Minister provided she is actively involved in a search for a related pastoral ministry in the greater San Francisco Bay Area. 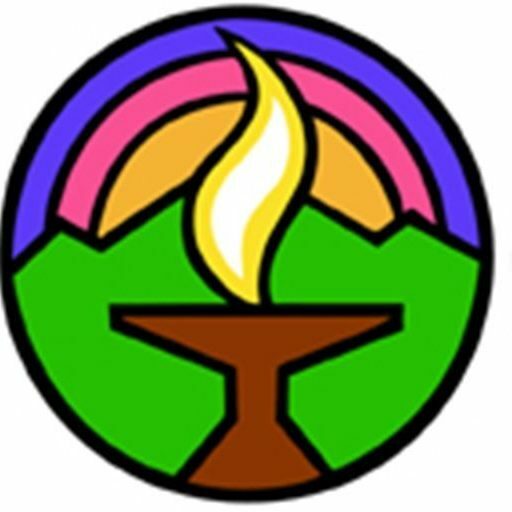 It is expressly understood that the Mission Peak Unitarian Universalist Congregation would bear no financial responsibility to her during this interim period. It is also expressly understood that Barbara Meyers would resign her endorsement with the Mission Peak Unitarian Universalist Congregation should she find full-time employment that would either (1) take her out of the San Francisco Bay Area or (2) not be work that is clearly understood as ministry (as defined by the Department of Ministry and the Ministerial Fellowship Committee of the UUA). Within the church arena, Barbara Meyers will seek to be available, as needed and mutually agreed upon, as back-up to the Parish Ministers e.g. performing rites of passage (especially non-member weddings and funerals), for on-call, pastoral care, teaching and preaching. Barbara Meyers will keep the congregation informed about her activities in her ministry by a regular newsletter column and by any other meetings or reports specifically requested by the Parish Minister or the Board of Trustees. She will attend at least two Board meetings per year, and provide quarterly reports to the Board of her activities. Each year, for the purposes of UUA credentialing, she will work with her job-related oversight committee to create an annual structured evaluation of her ministry. With the concurrence of the Parish Minister, the worship committee and the pastoral care committee Barbara Meyers may occasionally teach a class, lead a discussion or mini-orientation, preach, visit the sick or hospitalized, lead and develop and Pastoral Associates program and/or represent the church at denominational meetings, and other such ministerial tasks. Barbara will preach one sermon pro-bono (without fee) per year, and teach one class pro-bono per year. For preaching and teaching beyond this, she shall be reimbursed at UUMA suggested rates. Referrals from the Parish Minister to Barbara Meyers and vice versa shall be carefully worked out so that each person’s ministry is affirmed. A separate covenant between Barbara and the parish minister will be created to ensure this understanding. Consistent with the UUMA Code of Professional Conduct, Barbara Meyers shall defer accepting from members and friends of the church any invitation for her services traditionally associated with the Parish Ministry, in the absence of a clear prior understanding to the contrary. Any activity of Barbara’s ministry which requires significant funding beyond that in the congregation’s approved budget will be funded by a fundraising process separate from that of the annual canvass. Possibilities are requests for special contributions, grants from the UUA, PCD, or other granting agencies. Any projects MPUUC undertakes jointly with other congregations or agencies will be funded in a mutually agreed-to manner.